You don’t need bulging biceps to balance on boulders. We have made it to the beautiful island of Koh Tao in Thailand. This picture postcard picturesque little gem of an island not only has killer back drops for my website, it also has bouldering… On the beach! 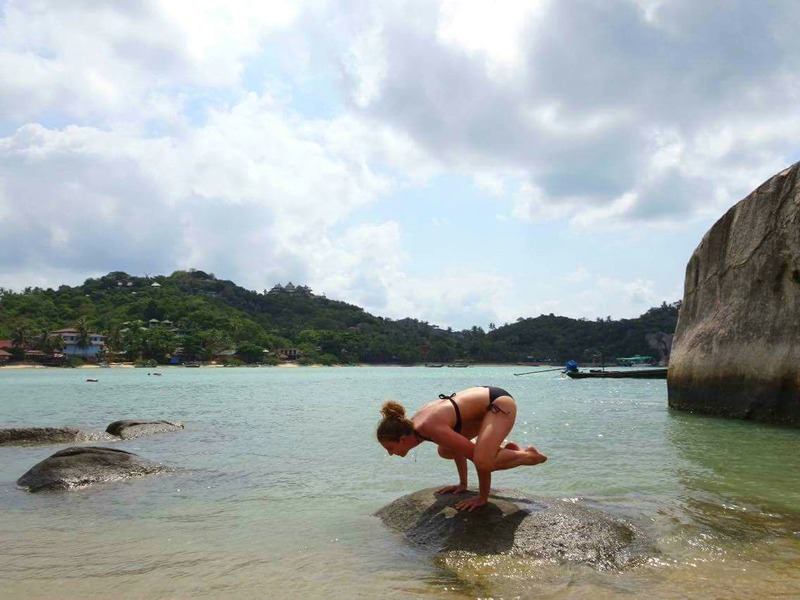 With climbing being possible for the several days we are on Koh Tao, I’ve been focusing my practise on improving my shoulder strength and stability. 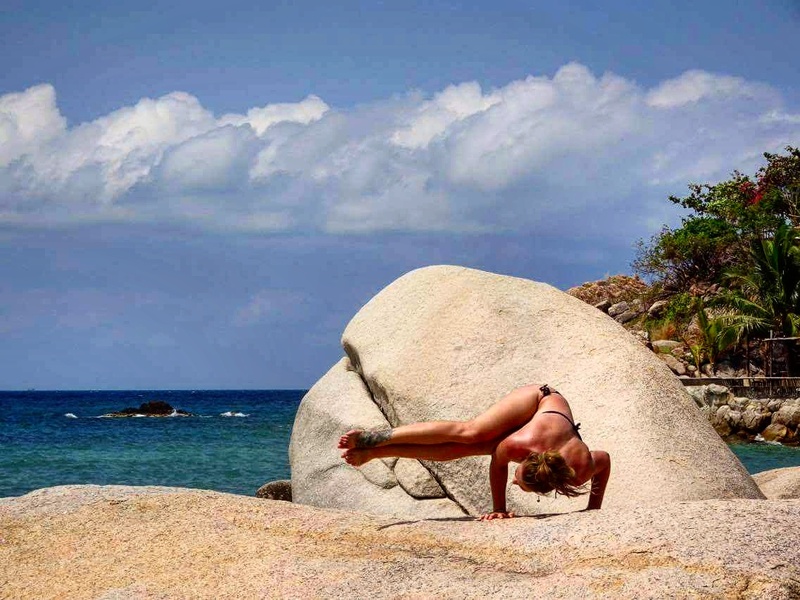 If you’re new to arm balances in yoga try not to be deterred by the many acrobatic poses you might see. 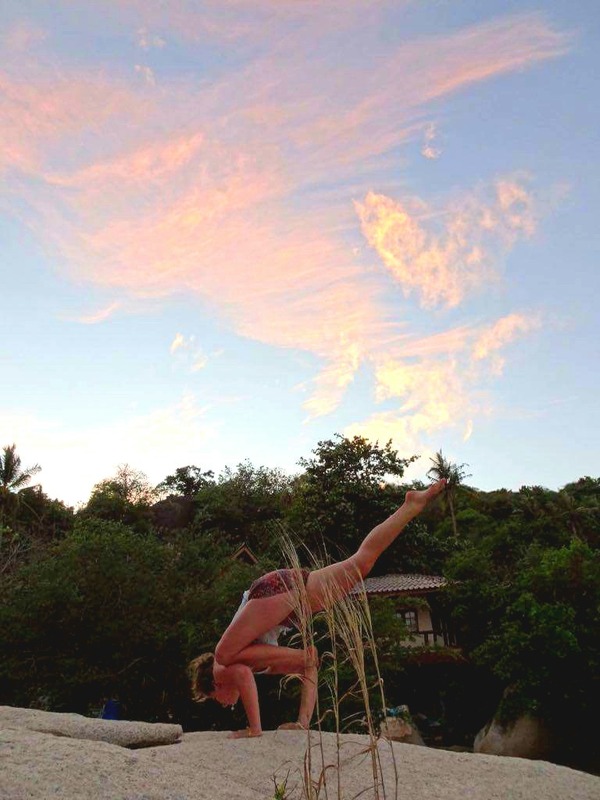 Start with a posture I believe to be the best introduction to learning arm balances and feeling weightless – Crow pose or bakasana. Come to garlands pose or just squatting. Bring your palms together to Namaste then place each elbow onto the inside of either knees. This should feel like a nice release on the inner thigh muscles. As you press your elbows out squeeze your knees into them and keep this going throughout the asana. Bring your body weight forward slightly, until your palms sit on the floor. Create as much space between the fingers as possible. As you inhale keep that pressure between your elbows and knees, exhale and start to bring your weight over your hands. Don’t look down! Look straight ahead, this is the direction your body is going in. Eventually you’ll notice your toes float up from the floor. Point your toes together once you’ve lifted off and hold for five breaths. A cushion under your little noggin is advisable for first lift off. Once you’ve mastered crow, ok I say crow… More baby crow. Next is mummy crow. My excuse for months was that my triceps were too “muscley” I’m a climber it doesn’t work. Your triceps and arm pits are only there to stabilize you in crow pose, try not to let them take too much of the weight. Come to standing, legs apart a little. Forward fold with bent (yes bent) legs, dropping your palms down in front of your toes. Keep your gaze forward as you place both knees as high on your triceps as you can. Again, like baby crow, bringing the weight over the hands. Personally I then bring up one foot at a time, visualising drawing each heel to my sitting bones. Round your back, pull your tummy in, squeeze your legs therefore pointing your toes. Keep the arms bent to start with. Straightening the arms in crow is very challenging and can be painful on the wrists, so don’t push your body. I seemed to crack it by drawing my chest up. Telling myself to physically straighten my arms resulted in me face planting or hurting my elbows. Once crow pose becomes a walk in the park for you, the world is your oyster. New variations of every pose going are constantly being created. Side crow is a fun one to try which can progress to extending the legs. Side crow (above). Come to squatting legs together, then twist your torso, planting both palms to the side of your thigh. Your thigh does need to be parallel with your tricep to then bring the weight over. Some hip opening might be needed if your struggling. 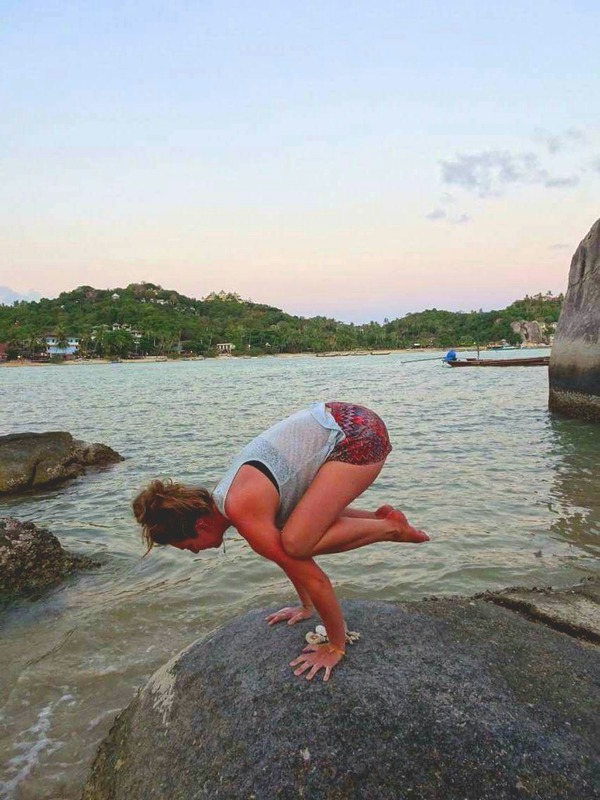 Like crow pose, bring the weight over the hands until the legs float up. Side crow with extended legs, very challenging and strong on the shoulders. This is/was no walk in the park. Finally I decided to take off in pigeon pose. Thank you to that wisp of grass that kept my dignity. Arm balances are fun but I’m the first to admit can be frustrating. Flowing through sequences makes me feel calm, opening my back makes me feel, well, open. Arm balances do something different, they mentally and physically challenge me. For me, they’re the best and easiest way to meditate as I’m so focused on one thing.